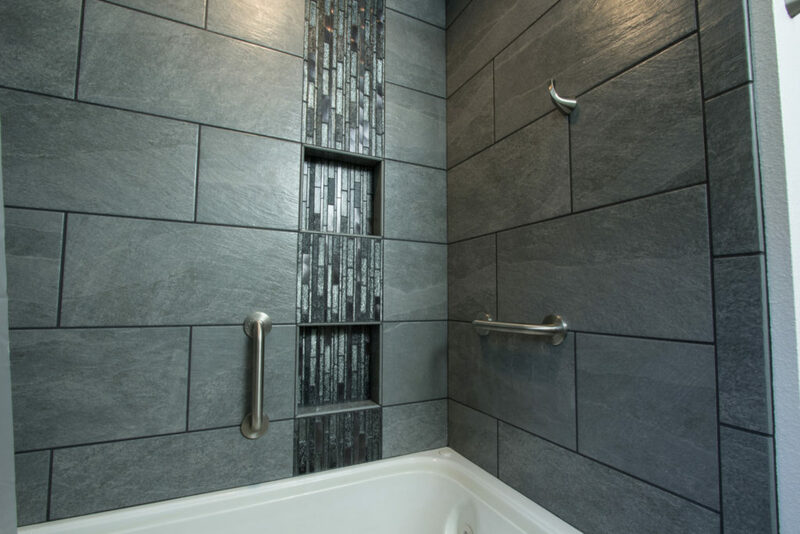 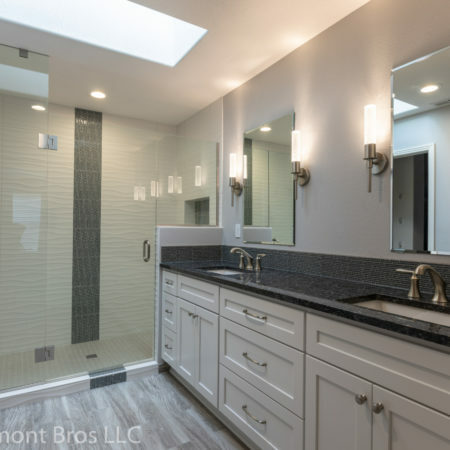 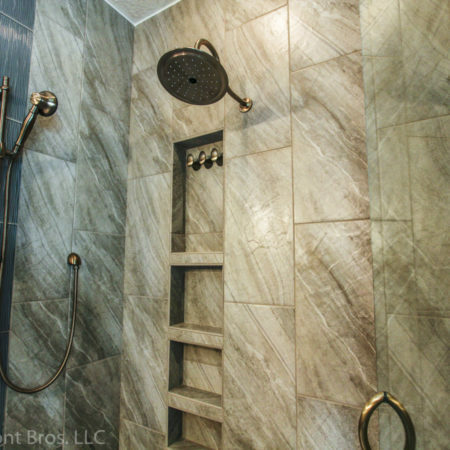 Montavilla Bathroom | Lamont Bros. 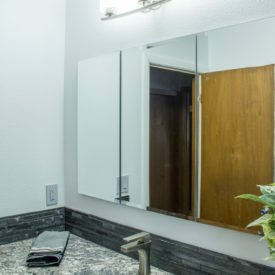 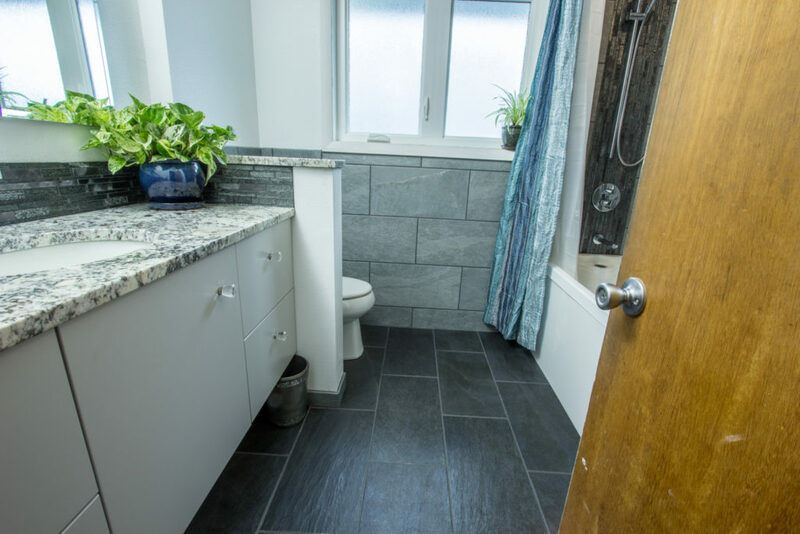 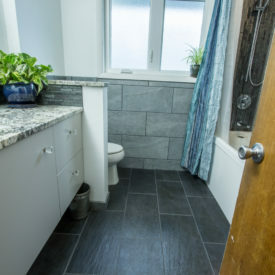 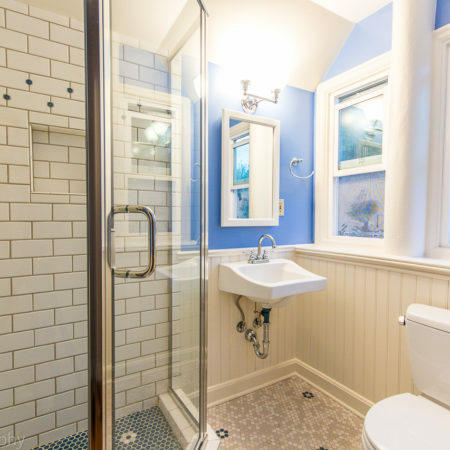 This small bathroom is housed in a mid-century house in the Montavilla neighborhood of Portland. 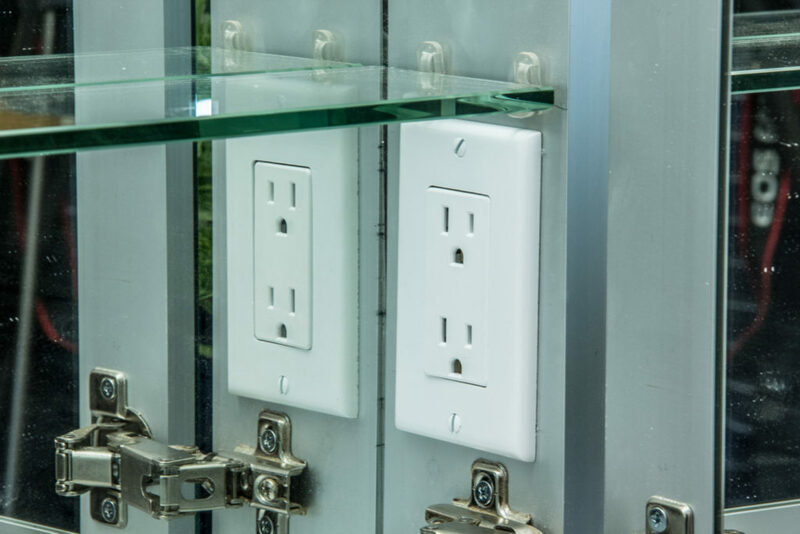 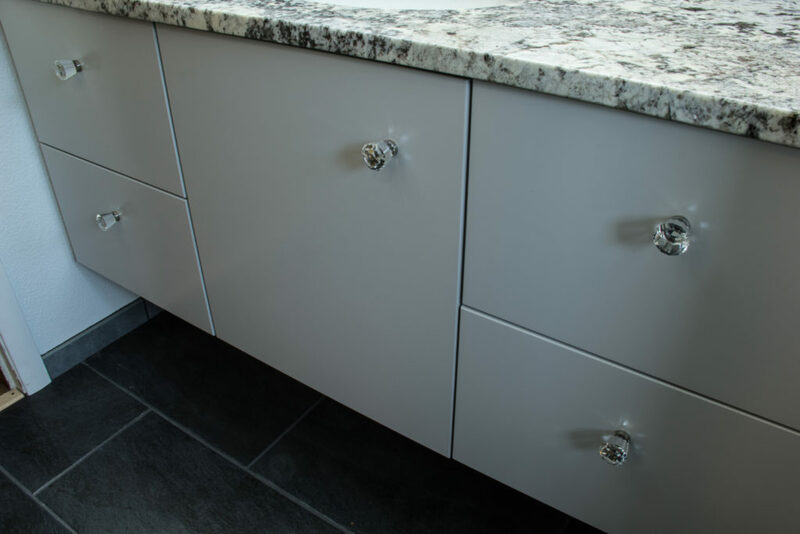 When we first started working with the owner, we outlined the requirements and constraints we had to work with. 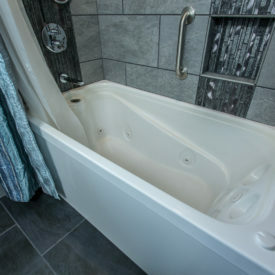 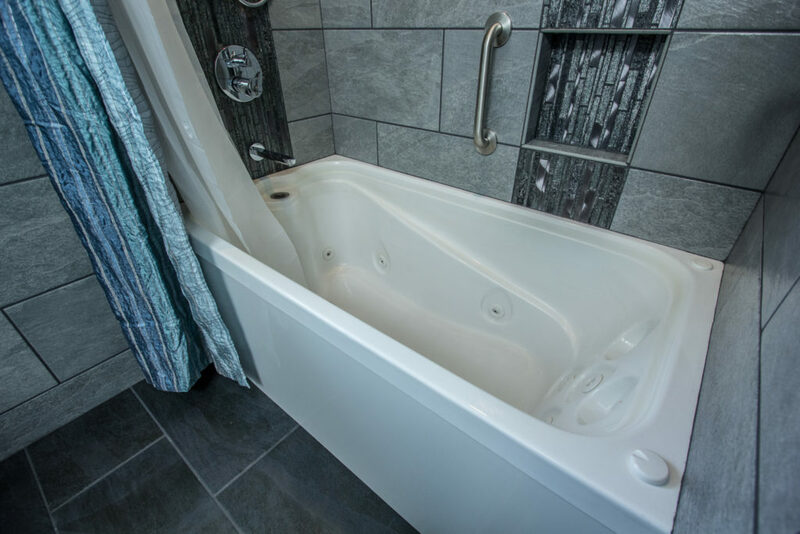 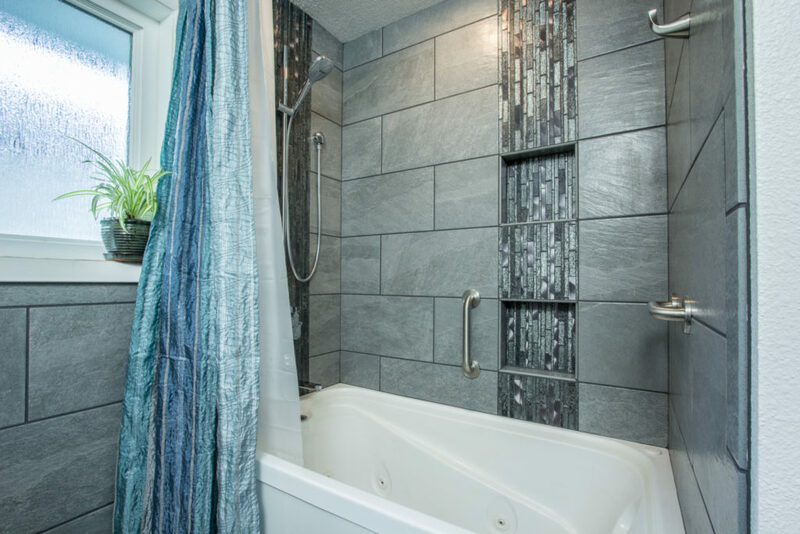 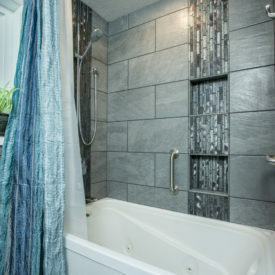 We had to keep the footprint, but needed to create a restful feel and add a large jetted tub for the owner's relaxation. 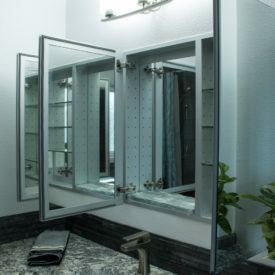 We stripped it down to the studs to have a clean place to start. 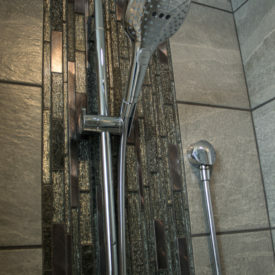 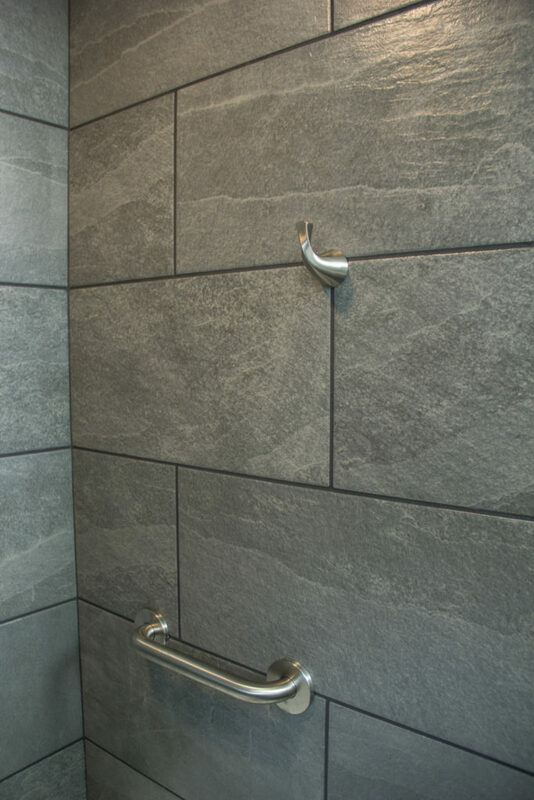 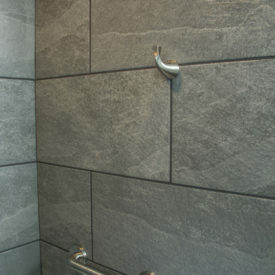 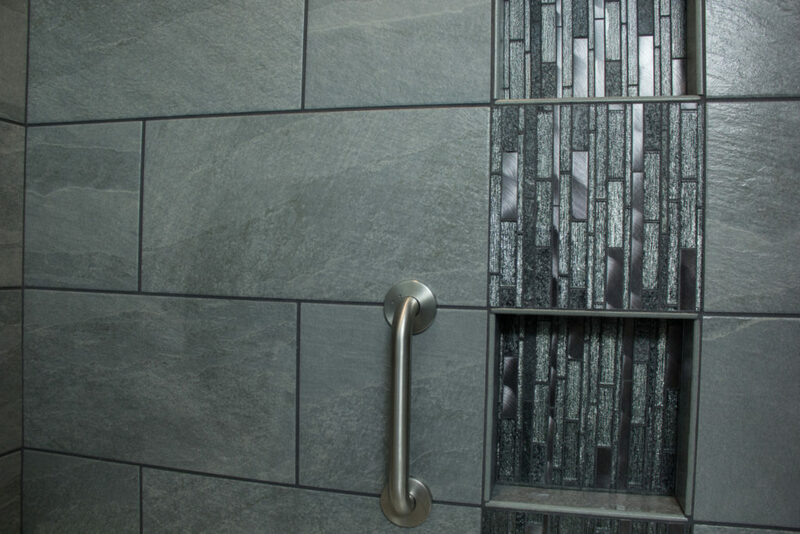 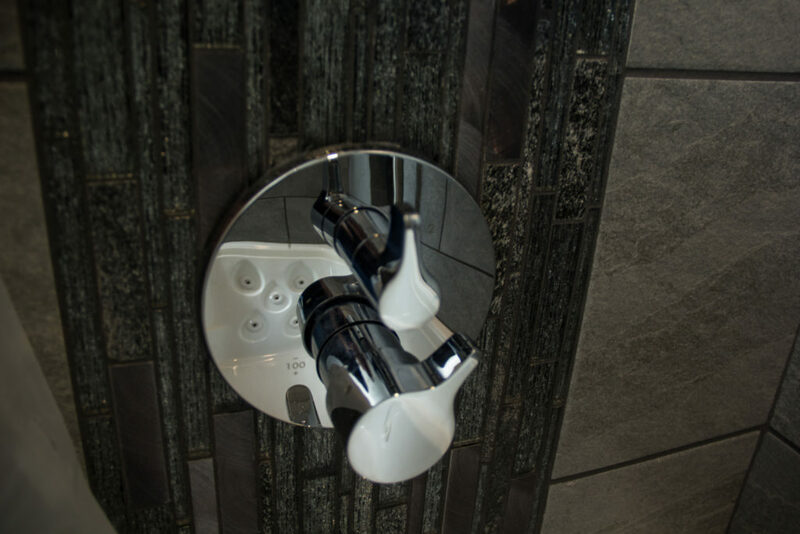 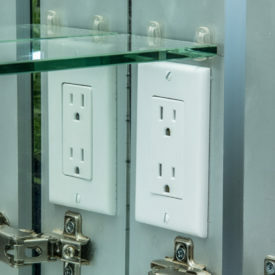 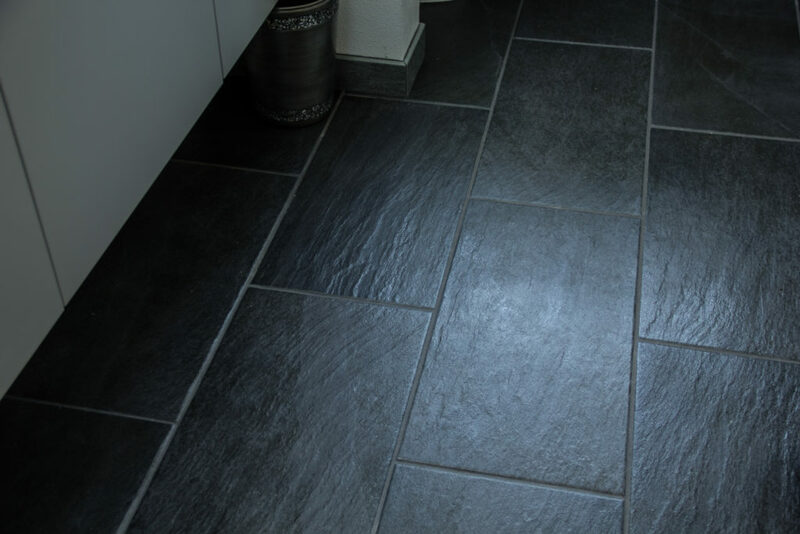 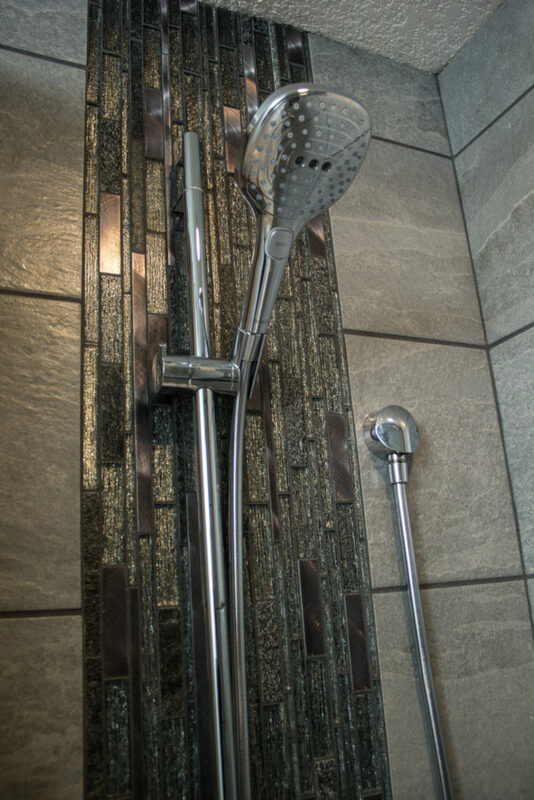 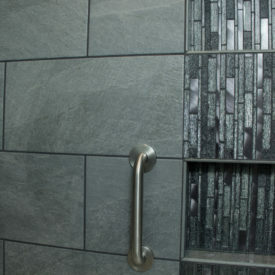 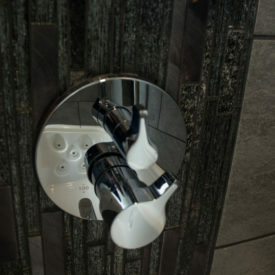 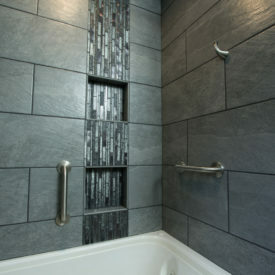 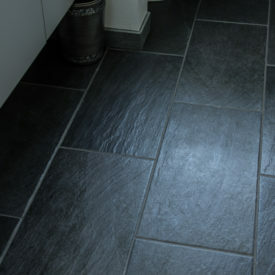 The finishes were installed by our expert installers. 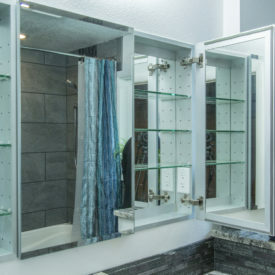 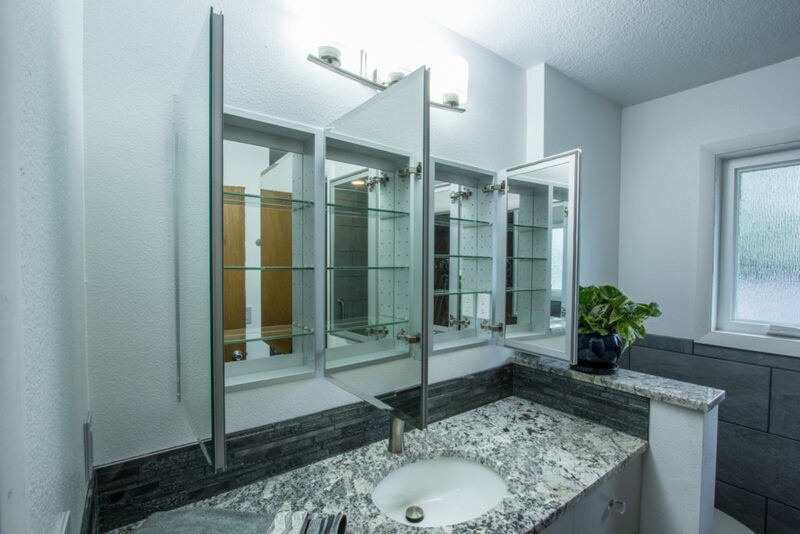 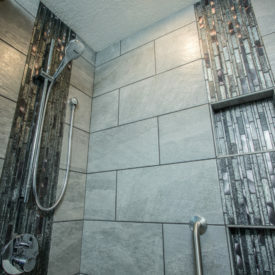 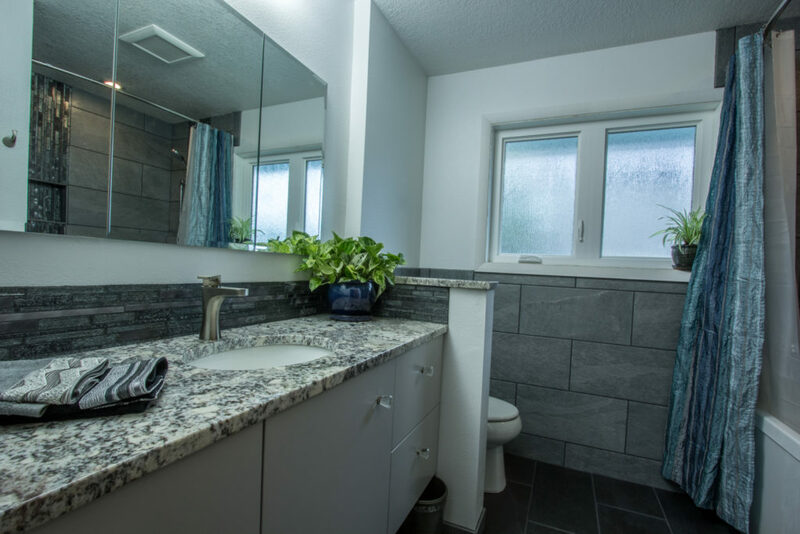 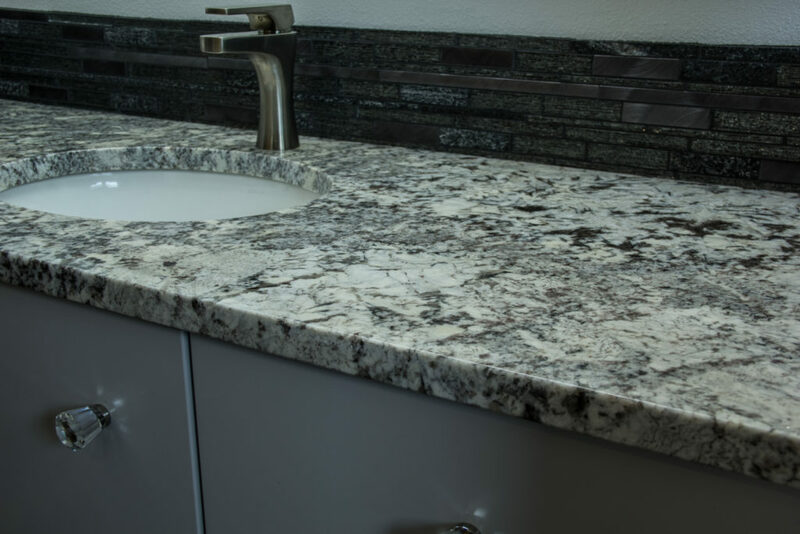 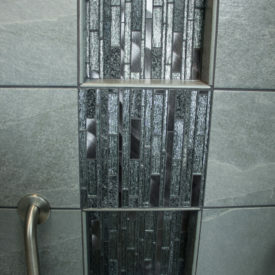 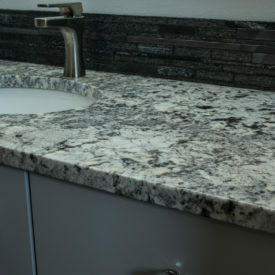 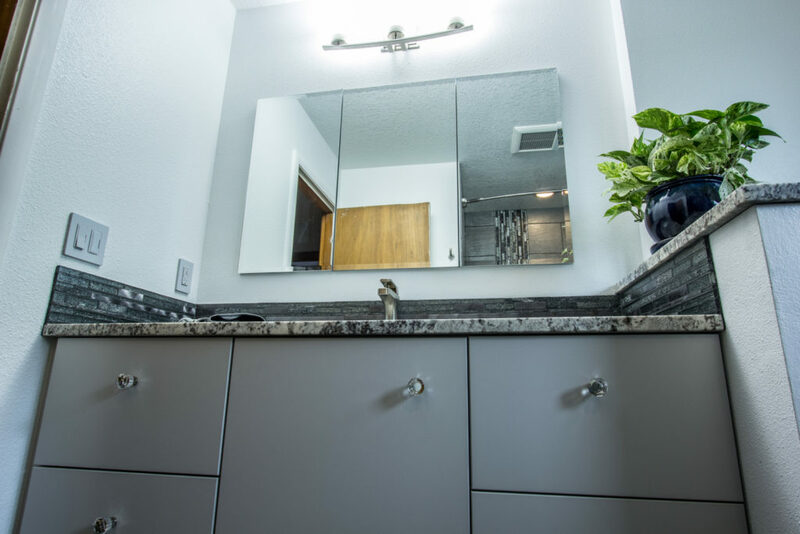 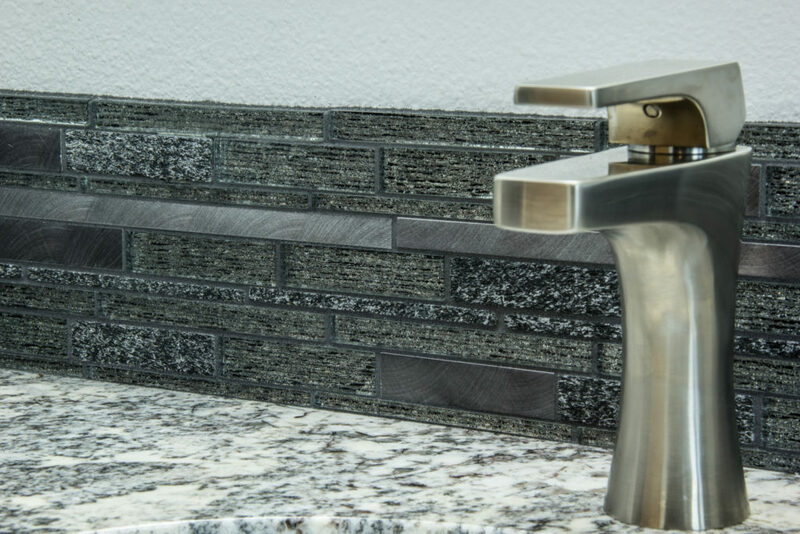 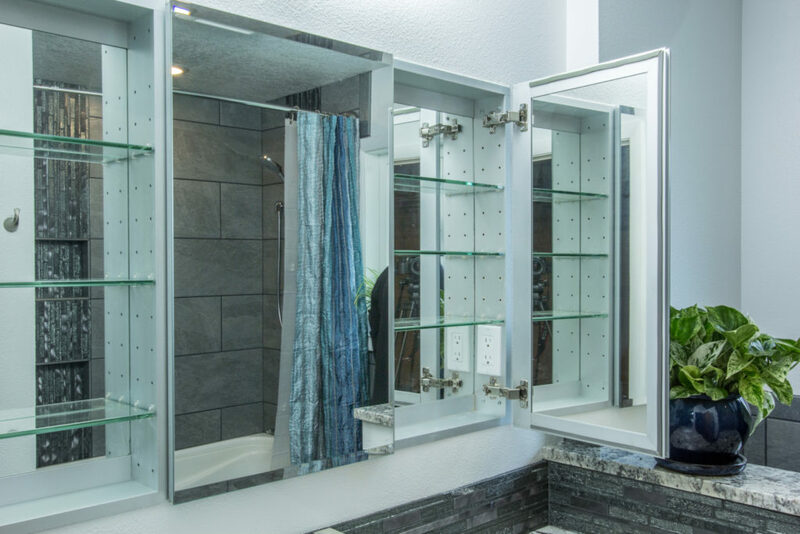 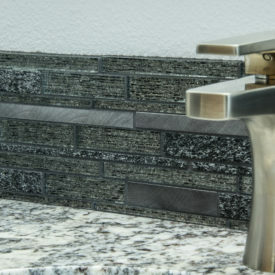 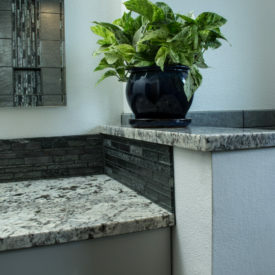 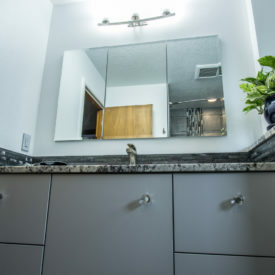 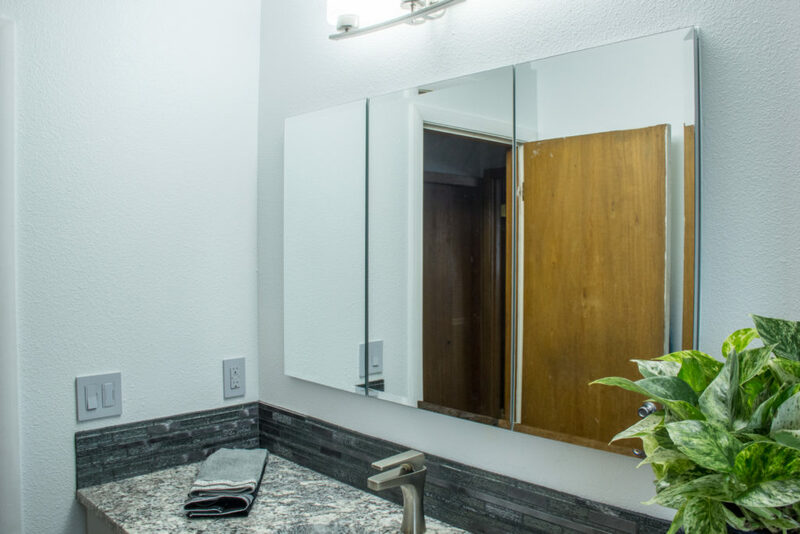 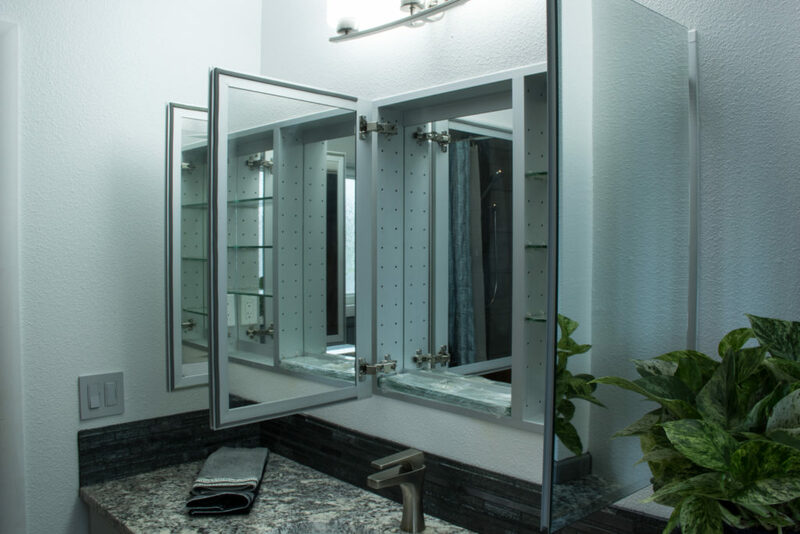 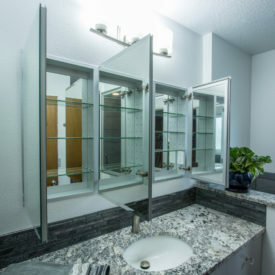 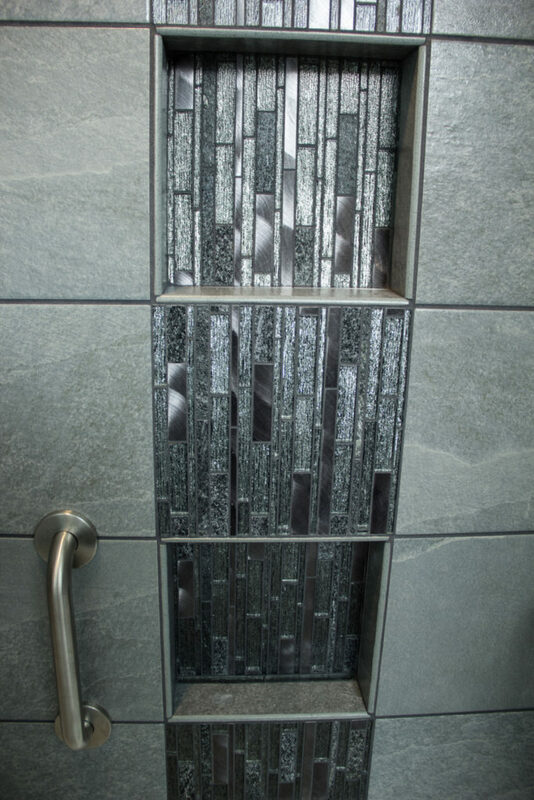 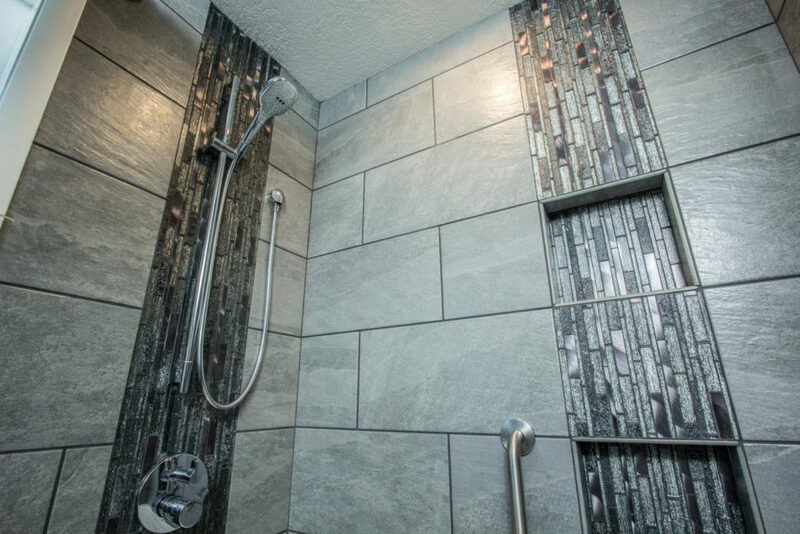 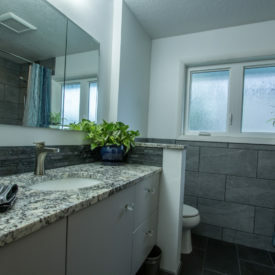 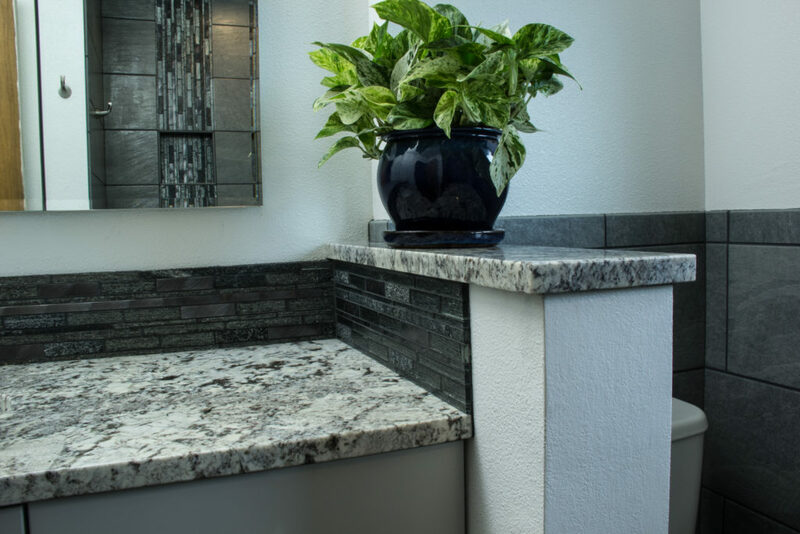 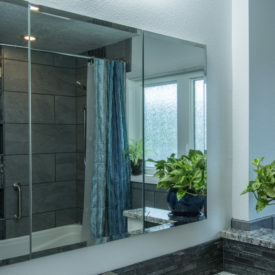 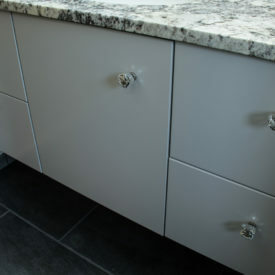 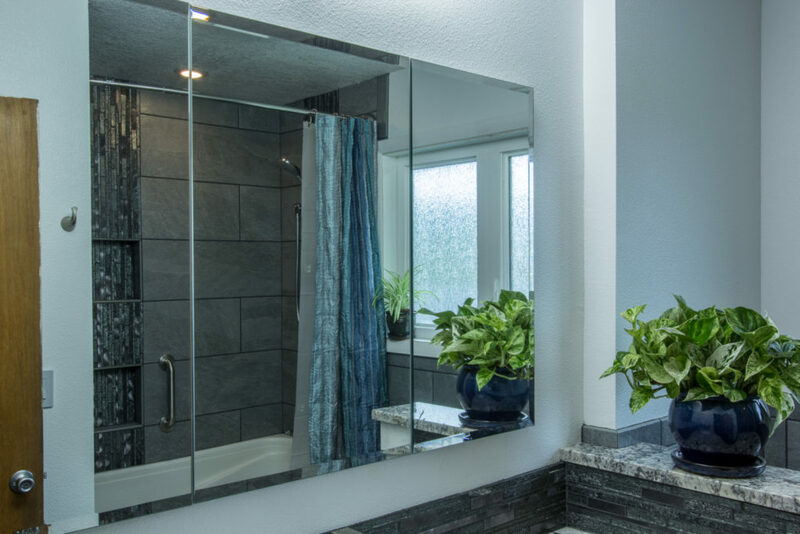 We used a ceramic tile, granite countertops and a high quality custom vanity. 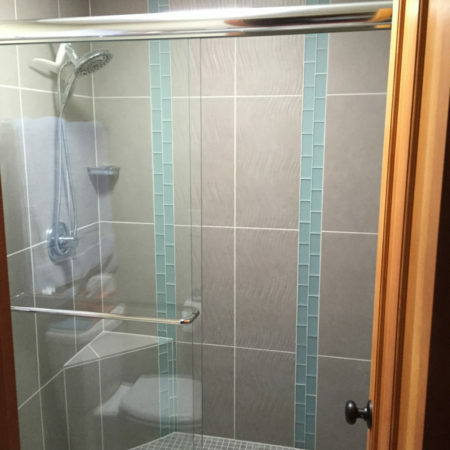 The entire project was completed a head of schedule in great style.